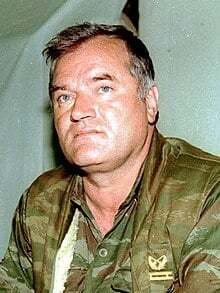 Both General Mladic and the Russian government are correct. The document called a “judgment” proves it for it reads like a propaganda tract instead of a court judgment. In just over 2500 pages the trio of “judges” recite the prosecution version of events nonstop, from the first paragraph to the last. The defence is mentioned only in passing. Another military analyst expert then appears, Reynaud Theunens, also working on the staff of the prosecution. Experts in criminal trials are supposed to be completely neutral. But not only was he acting on behalf of the prosecutor, he was at the same time a Belgian Army intelligence officer. So there we have it right at the opening of the trial. The stage is set; NATO is in charge of the case. NATO officers work inside the tribunal. It is a NATO tribunal in UN disguise. Accordingly, throughout the judgment NATO crimes, and the crimes of the opposing Bosnian forces are never referred to. The context is deliberately constricted to give a very narrow and distorted picture of events. The judgment continues with detailed recitations of prosecution witness testimony. Defence witnesses, on the few occasions they are referred to, never have their testimony set out in like detail. One line is devoted to a witness and all of them are dismissed as biased if their testimony is at odds with the testimony of the prosecution witnesses. And of what does the prosecution evidence consist? 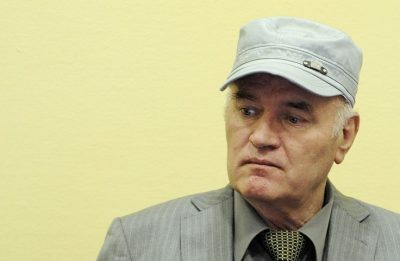 I was not able to observe much of the trial and only by video from time to time so, I am not able to comment on all the factual findings of the trial judges set on in their long judgment in which they condemn General Mladic and his government in page after tedious page. Those who are aware of the real history of events will realize that every paragraph of condemnation is neither more nor less than the same NATO propaganda put out during the conflict but made to look like a judgment. For it is not a judgment. A true judgment in a criminal trial should contain the evidence presented by the prosecution, the evidence presented by the defence, and the arguments of both sides about the evidence. It must contain references to witness testimony both as witnesses testified in chief and in cross-examination. Then there must be a reasoned decision by the judges on the merits of each party’s case and their reasoned conclusions. But you will be hard pressed to find a trace of any of the defence evidence in this document. I could find none except for a few references in a hand full of paragraphs and some footnotes in both of which testimony of a defence witness was briefly referred to in order to dismiss it and to dismiss it because it did not support the prosecution version of events. Consequently, there are no reasoned conclusions from the judges as to why they decided to accept the prosecution evidence but not the defence evidence. From reading this one would think no defence was presented, other than a token one. That is not a judgment. Further, it is important for anyone reading this “judgment” to be able to refer to the pages in the transcripts at which the witnesses testified, what they testified to, and what they said in cross-examination, because a statement is not testimony. It is just a statement. A statement cannot be used as evidence. That requires the witness to get in the box and to state under oath what they observed. Then they can be questioned as to the reliability as observers, their bias if any, their credibility and so on. But in this case we see hundreds of references to “witness statements.” This indicates that the judges based their “judgment” not on the testimony of the witnesses (if they were called to testify) but on their written statements, prepared by the prosecution, and without facing any cross-examination by the defence. It is not clear at all from this judgment that any of the witnesses referred to in the statements actually testified or not. If they did then their testimony should be cited, not their statements. The only valid purpose the statements have is to notify the lawyers what a witness is likely to say in the trial, and to disclose the prosecution case to the defence so they can prepare their case and then use the statements in the trial to cross examine the witness by comparing the prior statement with their testimony under oath in the witness box. It would take a book to recite the problems with the “trial” as exposed by this judgment. But there is one example which highlights the rest relating to Srebrenica and concerns a famous meeting that took place at the Fontana Hotel on the evening of July 11, 1995 at which General Mladic meets with a Dutch peacekeeper colonel to arrange the evacuation of the civilians in the Srebrenica area and the possible laying down of arms of the 28th Bosnian Army Division. There is a video of that meeting available on YouTube. In summary this document contains within it little sense of the defence case or what the facts presented by the defence were, what the defence arguments were on the facts, nor their full legal arguments. But most importantly we have no idea what the testimony was of most of the prosecution witnesses and no idea what the testimony was of defence witnesses. It is as if there was no trial, and the judges just sat in a room sifting through prosecution documents writing the judgment as they went. We must suppose that this is not far from the truth. Christopher Black is an international criminal lawyer based in Toronto. He is known for a number of high-profile war crimes cases and recently published his novel “Beneath the Clouds. He writes essays on international law, politics and world events, especially for the online magazine “New Eastern Outlook.” where this article was originally published.